Think how Don Draper would have loved the opportunity to have worked on the Facebook, YouTube, Skype and Twitter accounts if they were around during his heyday on Madison Avenue. As part of Moma's "Everything Ages Fast" campaign for Maximidia Seminars, the ads are pure vintage and esthetically appealing. The taglines and copy are written in a way that sounds dated as well. 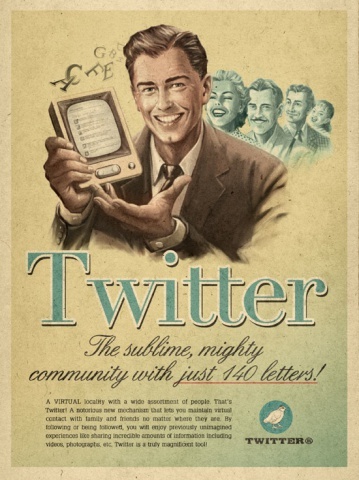 Twitter's ad, for example, talks about the "The sublime, mighty community with just 140 letters!" 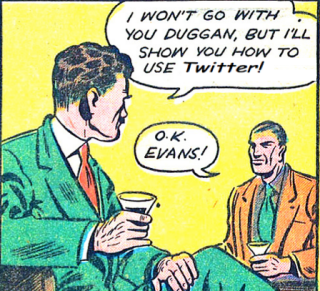 Think how Mark Zuckerberg would have had to go on to bigger and better things if Facebook had already existed some 40+ years before he even entered college. 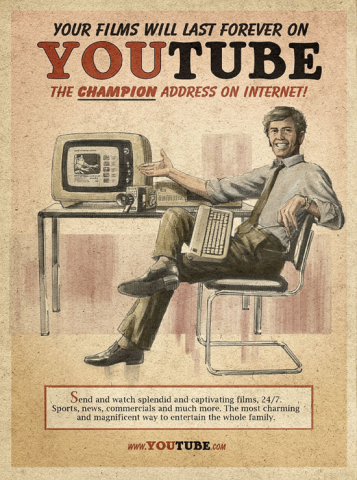 And while movie cameras were still working with Super 8 film, YouTube was guaranteeing that those memories could last forever and would be obtainable 24/7 on this new invention called the "Internet." 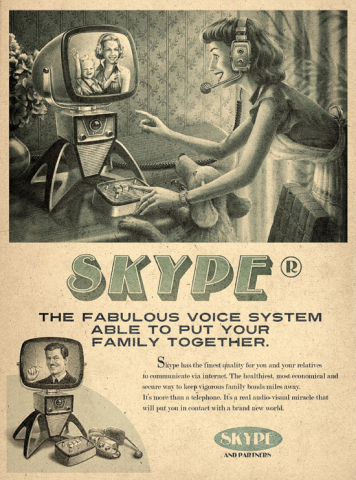 Skype, like something out of the Jetson's is described as something "more than a telephone" - why, "it's a real audio-visual miracle that will put you in contact with a brand new world." 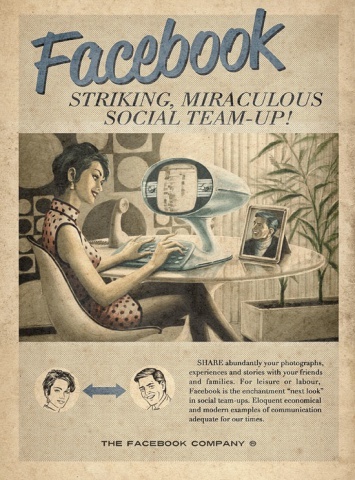 Similar to this ad campaign was another published to YouTube a year ago, titled "Facebook Manners and You." It was produced by Big Fuel, a marketing and communications that specializes in social media. Again presented in "retro" fashion, the agency shows the "do's" and "don'ts" of bad behavior related to Facebook break-ups ala 1960s. "Facebook Manners And You" was the official 2009 Webby Award Honoree for Best Writing and Comedy in the "Individual Short or Episode" category - and has garnered over 1 million views on YouTube, as of this posting. 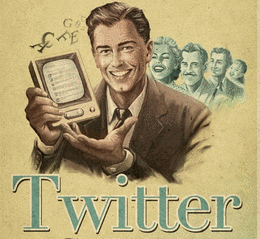 Interesting enough - some day in the not so distant future - we'll be looking back fondly at social media and these networks that began in the first decade of this new century - because as the Moma and Big Fuel campaigns pointed out - everything in social media does age at lightning speed!